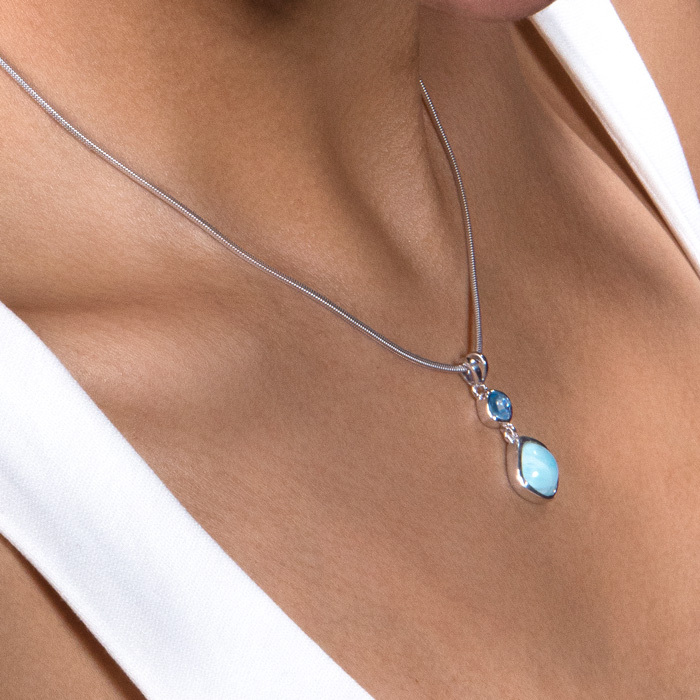 Our Atlantic Cushion Collection necklace boasts a stunning cushion-cut polished larimar gemstone that’s paired with a round faceted blue topaz set in a silver collar. Be ravishing! Product Details: 10mm larimar gemstone with sterling silver and blue spinel. Includes an adjustable 21” sterling silver chain with an easy, sliding mechanism and lobster clasp that you can set to the perfect length for your look!